This course is designed for people who need who need a CPR card for either work purposes (for people who do not work in any kind of healthcare industry) or for personal fulfillment. This class is perfect for the lay person, the fitness instructor, the educator, childcare professional, parents, couples, or anyone else. Manikins, your own resuscitation mask, videos, lectures, one on one time with the instructor and a certification card. 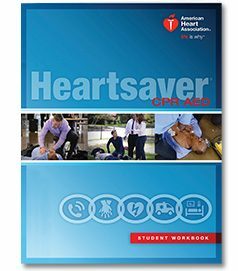 You will be certified in adult, child, infant CPR, choking adult, child, and infant, trained and certified in the use of the AED (automatic external defibrillator). This course is scheduled for 3.5 hours. Class time will vary depending on the amount of people attending, class participation and testing. Copyright 2012 © Tier One CPR | Website crafted by WebStrategies Inc.